Our annual Spring Makeover Challenge (weight loss challenge) is approaching quickly. 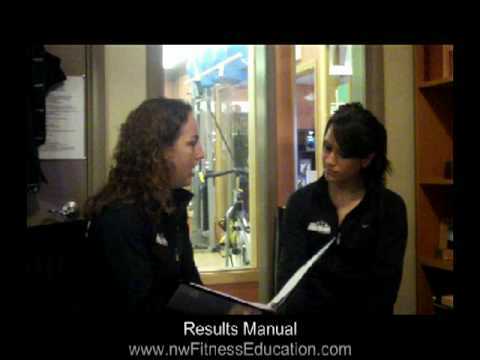 All of our personal trainers recruit members for their team. The trainer’s teams compete against each other to see who can lose the most weight during the challenge. Many fit pro managers/owners have probably conducted weight loss challenges. Some successful and some not. Our weight loss challenge normally brings in $20k in additional revenue each year! We know the secrets and I am going to share them with you! Don’t forget to sign up to automatically receive my latest blog post in your inbox! Right at the top of the page. Use a weight loss program that works. It sounds simple right? The reality is that many fit pros attempt to give their clients too many restrictions and rules. If your clients followed these rules they would be successful, but a program that is too complicated is too much work. Try a program that revolves around “cutting out the junk.” Simple is better in this case. Be firm with your clients. They have signed up for this program because they want to lose weight and they want someone to hold them accountable. Follow up with clients when they are not on track. Teams = success. One of the reasons our weight loss challenge works is because of the team aspect. Each of our trainers is required to recruit and manage their own teams. It becomes a big competition at our studio and the winner gets bragging rights all year. Clients will start drinking more water, eating more vegetables, getting in more activity…because they don’t want to let their team down. Start planning your weight loss challenge today! Keep these 4 secrets to success in mind and your clients will see serious results and you will see extra revenue flow into your fit pro business. Good luck and comment on this blog with your successes! One of the reasons our Spring Makeover Challenge (Yearly Weight Loss Challenge) is so successful is because we offer and use the Fitness Results Manual as the main resource for participants. This is a 100 page resource tool that walks participants through the importance of cardio, strength training, nutrition and more. There is a 6 week plan that both trainers and the participants follow to ensure they are reviewing all the material. We sell this resource to fitness professionals like you to use in your own business. Change our name to your name and our logo to your logo and run with it! Now you have the information you need to run a super successful makeover challenge and the resource tool you need can be yours too! Don’t hesitate.